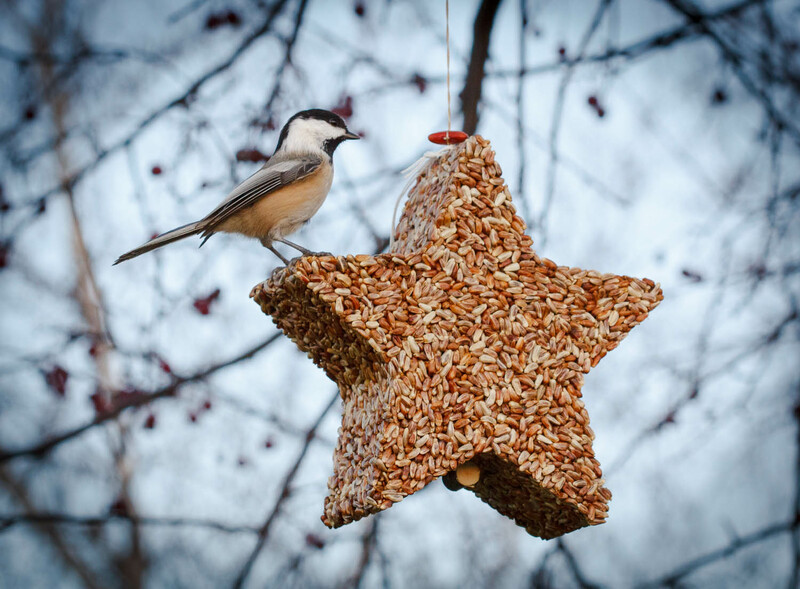 A stopover & diner for small feathered friends. It’s a “Supergiant” star for feasting! 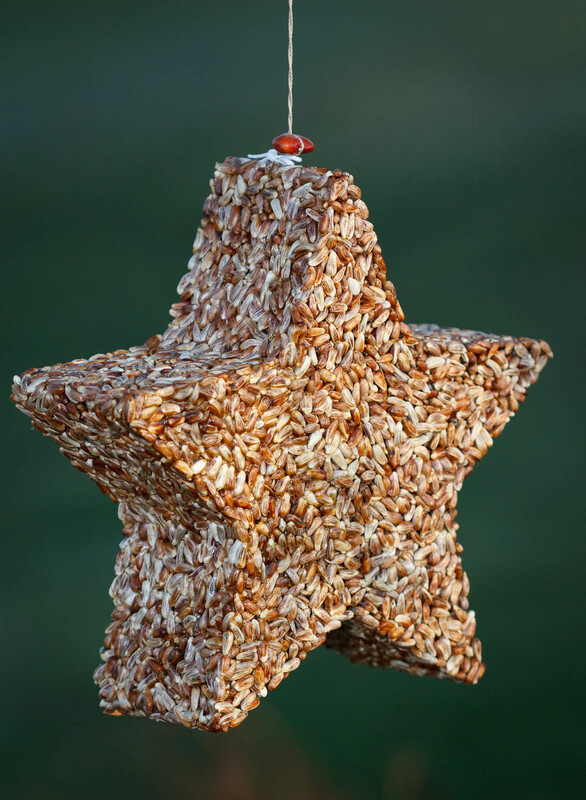 These feeders make lovely gifts, successfully bridging a wide range of tastes and interests. I purchased 2 for x-mas presents and liked them so much that I purchased another online to send to my stepmother in Wisconsin (which arrived perfectly due to their careful packaging–thanks!). They are remarkably well-executed–really beautiful in design and detail. I’m a bit of an aesthetic snob, so this is a high compliment. And it’s true that the little song birds love them. My mother called to ask “what’s in it?” because the chickadees out in Orono, MN where she lives are really enjoying it. She was delighted to hear that Jules’ ingenious designs are available at a couple locations near her (Excelsior and Wayzata), but you should feel very comfortable to order online as well! My star attracted a whole flock of goldfinches, a cardinal and several chickadees. It looks so pretty hanging up in the tree, and, as promised, the squirrels don’t seem to bother it. I’ll be ordering several more! Purchased a star for my 89 year old father for Christmas, best gift we have ever given him. It is full of birds all day every day. He loves it, will order more. Thank you! My daughter gave me one for Christmas. The birds and I love it! Awesome product. 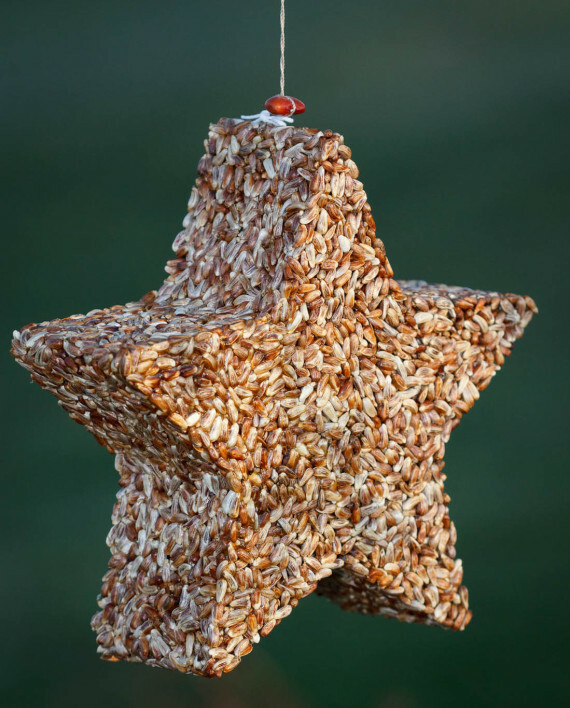 Last November at the Edina Morningside Women’s Holiday Boutique I bought a bird seed star. 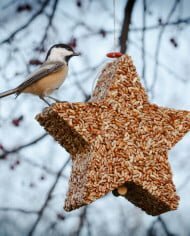 This bird seed star has attracted several variety of birds, lasted much longer than expected, and the squirrels do not seem to give a hoot about it.